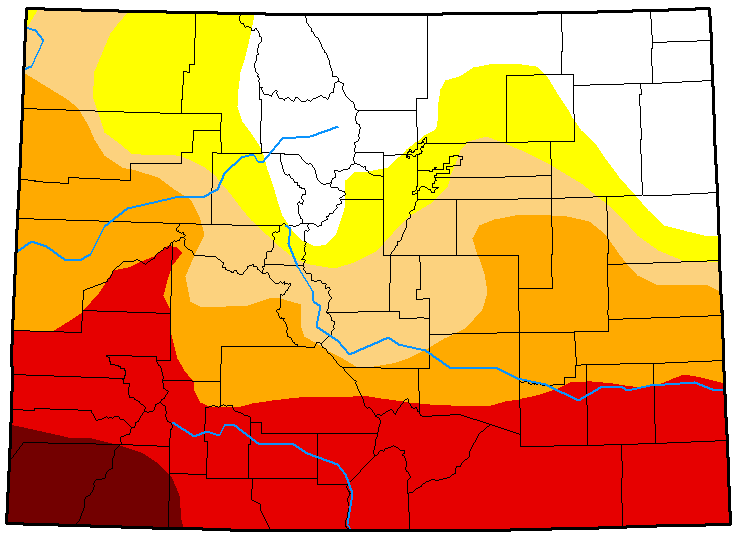 Extreme drought increased significantly across southern Colorado over the past week, with more than a quarter of the state's area now experiencing extreme conditions. The state's drought picture did improve is some areas. Abnormally dry conditions retreated completely from Grand county, as well as parts of eastern Routt county in north central Colorado. Much of the northeast and north central area is drought-free or abnormally dry following weeks of periodic snow storms and some recent rain over the plains. Significant moisture has eluded the southern half of the state through the winter and early spring. All or parts of four southwest counties moved into exceptional drought - the most severe category - last week. Extreme drought expanded to encompass all of Las Animas and Huerfano counties, as well as southern Pueblo county in the southeast. In the southwest, a similar expansion now covers all of Archuleta, Alamosa, and most of Mineral counties. 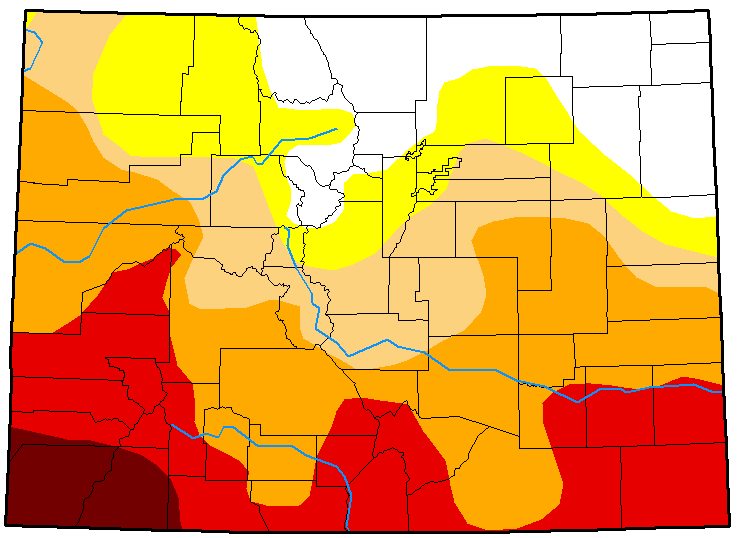 The southern third of Saguache county also moved into extreme drought. Overall, 18 percent of the state is drought-free, a small improvement over the previous week. 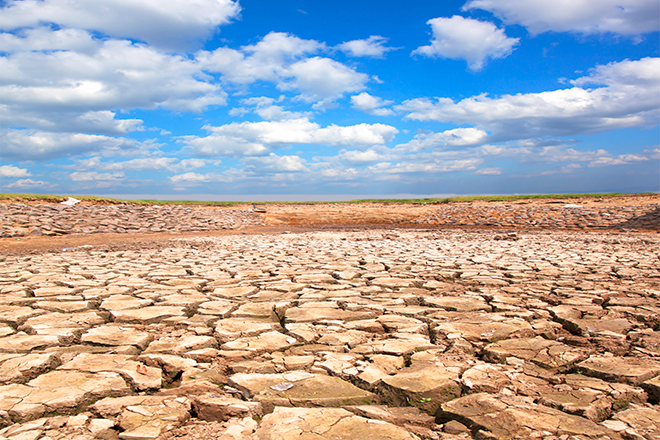 Abnormally dry conditions impact over 13 percent of Colorado. Moderate drought covers 14 percent of the state. With the offsetting expansion of extreme drought, severe drought conditions dropped from over 29 percent of the area to just under 23 percent. Extreme conditions now cover just over 27 percent of Colorado, while exceptional drought held steady at just under four percent. One year ago, two-thirds of Colorado was drought-free, with another 27 percent considered abnormally dry. The remainder of the state was in moderate drought. Maps courtesy National Drought Mitigation Center. Top: April 24, 2018. Bottom: April 17, 2018.